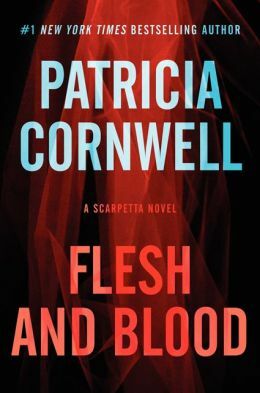 #1 New York Times bestselling author Patricia Cornwell delivers the next enthralling thriller in her high-stakes series starring Kay Scarpetta—a complex tale involving a serial sniper who strikes chillingly close to the forensic sleuth herself. It’s Dr. Kay Scarpetta’s birthday, and she’s about to head to Miami for a vacation with Benton Wesley, her FBI profiler husband, when she notices seven pennies on a wall behind their Cambridge house. Is this a kids’ game? If so, why are all of the coins dated 1981 and so shiny they could be newly minted? Her cellphone rings, and Detective Pete Marino tells her there’s been a homicide five minutes away. A high school music teacher has been shot with uncanny precision as he unloaded groceries from his car. No one has heard or seen a thing. In this 22nd Scarpetta novel, the master forensic sleuth finds herself in the unsettling pursuit of a serial sniper who leaves no incriminating evidence except fragments of copper. The shots seem impossible, yet they are so perfect they cause instant death. The victims appear to have had nothing in common, and there is no pattern to indicate where the killer will strike next. First New Jersey, then Massachusetts, and then the murky depths off the coast of South Florida, where Scarpetta investigates a shipwreck, looking for answers that only she can discover and analyze. And it is there that she comes face to face with shocking evidence that implicates her techno genius niece, Lucy, Scarpetta’s own flesh and blood. My thoughts: I can’t believe I am even having to write this . . . but what happened to the old Kay Scarpetta? I have been reading this series since book #1 and thoroughly enjoyed the wonderful characters, the suspenseful plots, up until about book #15. I took a break for awhile, thinking it was just me and that my reading tastes had changed. I got an ARC of this latest Patricia Cornwell and needless to say was quite excited to see what happened to the series I once so enjoyed! Flesh and Blood was alright, but not what I remember loving about this series. I honestly can’t figure it out, but I feel that somehow the main character, Kay Scarpetta, has changed so significantly during the course of the series that she almost isn’t herself. I feel the same about some of the other characters as well. Kay has always been a strong, empowered female lead character but when did she get so darn nasty? Why is Benton so seemingly withdrawn all of the time? Why is Pete Marino such an arrogant idiot? And ugh, Lucy just bugs me! The book started out really slow for me. I don’t mind the forensic, scientific detail as that is what the series is all about, but it just felt a bit too scattered and too detailed without moving the plot forward. However, I will admit that the book ended strong. The end was quite suspenseful and of course, like any good mystery book, left you with an interesting cliffhanger. I don’t know if it is me that has changed or whether the author herself has changed which is being reflected in her main character . . . but I want my old Kay Scarpetta back! Glad to know I am not alone in my feelings about this series. I loved it and even bought the cookbook. Thanks for the review.